Erica Hutchings: Back-country Ski Guide and Office Staff: Erica began working in Yellowstone as a tour guide and bus driver in 1987 and has been with Yellowstone Expeditions since 1989. She has summered as a National Park Service ranger in Grand Teton, Yellowstone, Sequoia and Kings Canyon National Parks. She is an EMT (Emergency Medical Technician) and has completed the American Avalanche Institute backcountry avalanche safety and forecasting course. 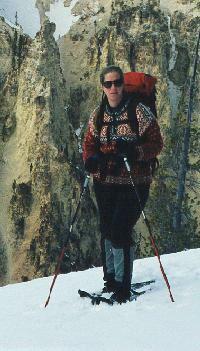 Erica is a certified PSIA (Professional Ski Instructors of America) backcountry ski guide and Nordic ski instructor. 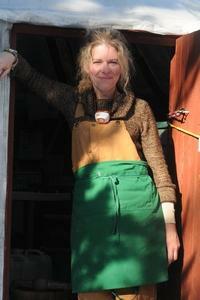 Erica manages our office and reservation system as well as helps out at the skier's Yurt Camp. 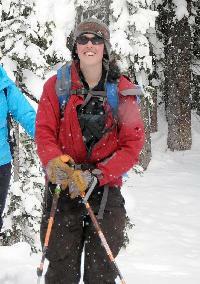 Monica Kopp: Back-country Ski Guide: Monica has been with Yellowstone Expeditions since 2011. She has completed the Red Cross Wilderness First Aid, the American Avalanche Institute avalanche safety and forecasting courses. Monica has a degree in botany and has spent the past several summers working in Alaska doing vegetation mapping and cataloging. Laura Bush: Back-country ski guide: The winter of 2016 will be Laura's first winter with Yellowstone Expeditions. 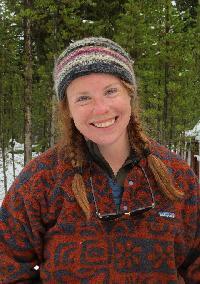 However, Laura has worked in Yellowstone since 2010 as a snow-coach driver, guide, and as a Dining Room Manager. She spent last summer guiding in Alaska. 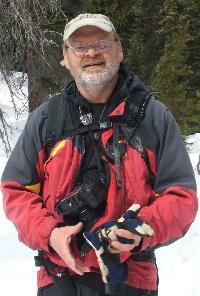 Brian Richards: Back-country ski guide: Brian has worked with us since 2014. Before that he worked as a guide in Yellowstone for the main concessioner. Like many of our guides, Brian enjoys challenging adventures. He has hiked around Iceland, climbed 3 very large mountains in Peru, and spent time in Hawaii. Brian works as a carpenter in the off season. This past fall he put that skill to work at the yurt camp when he, Elijah, and Laura constructed the new restroom facility. 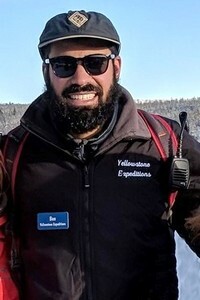 Elijah Spray: Back-country Ski Guide: Elijah has been with Yellowstone Expeditions since 2014 and had guided in Yellowstone for a few years before that. Elijah has hiked both the Pacific Crest Trail and the Continental Divide Trail from Mexico to Canada. Last year he canoed the George River in far northern Canada ending at Ungava Bay on the Hudson Straight. Ben Dhiman: Back-country ski guide: Back-country Ski Guide: Ben has been with Yellowstone Expeditions since 2017 but has been in the area for years, as he graduated from Montana State University in Bozeman. 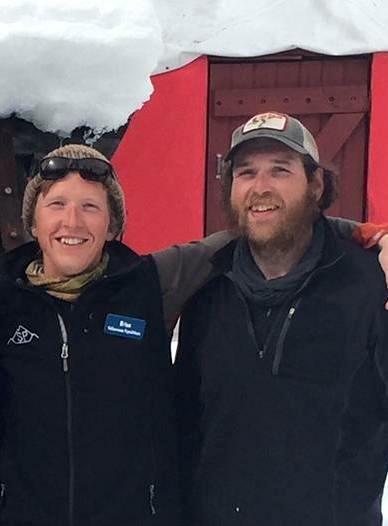 Ben has hiked both the Pacific Crest Trail and the Continental Divide Trail from Mexico to Canada..
Ben Tippenhauer: Back-country ski guide: Ben also joined us in 2017. 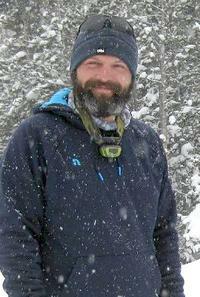 He has hiked the Appalachian Trail, the Continental Divide Trail, The Pacific Crest Trail, and the Hayduke Trail. Ben spends his summers (when not through hiking thousands of miles) guiding in Alaska..